The Cricketers is Brighton’s oldest pub. 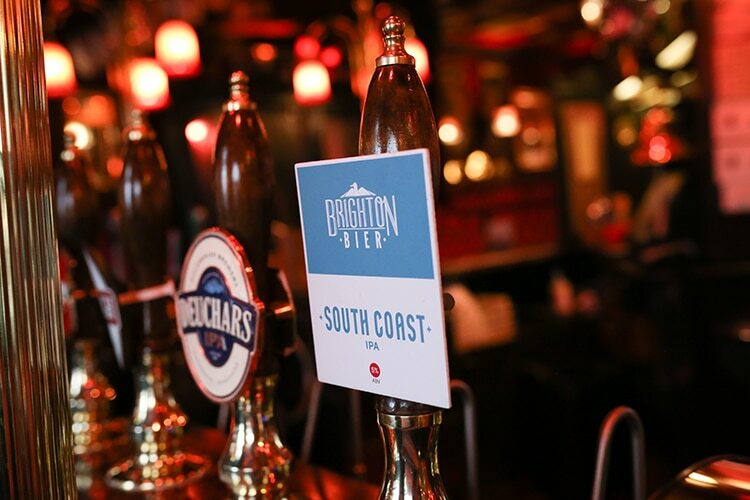 Since 1547 it has been on this very spot in the old Brighton lanes, and with its cobbled stone floors and thick luxurious carpets – not to mention the Victorian splendour of the tiled walls in the toilets, it really is a charming traditional pub, full of character. Graham Greene was a regular patron of its walls, and his famous ‘Brighton Rock’ immortalised it with sociopath mob leader Pinkie plotting murders inside the pub. Jack the Ripper is also supposed to have been a regular customer, how that can be I don’t know, but it’s good to have a bloody old history. Nowadays the only murdering to be found under this roof is that of a good pint or a slap up lunch. 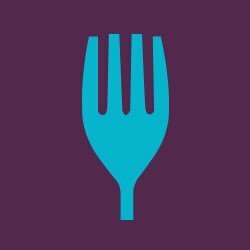 The Cricketers has an excellent menu, serving everything from traditional bar snacks to a 3 course lunch and full Sunday Roasts. This is what I went for with my family. 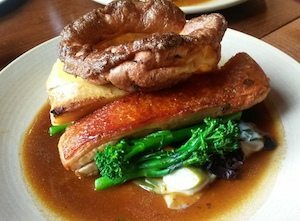 The three course Sunday lunch menu is a steal at £20 – all the food is really fresh and locally sourced. 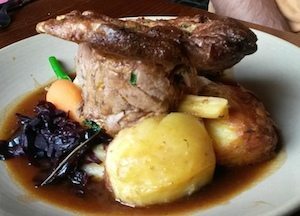 For those of you who can’t manage three courses with a massive roast dinner (and it is, massive) for 2 courses they charge you just £16. Barg. Whilst we were deciding what to have and then waiting for our food, we watched a bit of the Wimbledon final, played a bit of ‘name that flag’ (I lost, predictably, Tonio won. His head is full of geography) and started a really good new sticker book. Not to be scoffed at when having a leisurely Sunday pub lunch with a small child. Sticker books rule. It was a perfect day, no rush, comfortable ambience and 80’s tunes. Simple pleasures. We shared two meals between the three of us as the portions were so big (and my daughter is so small!) 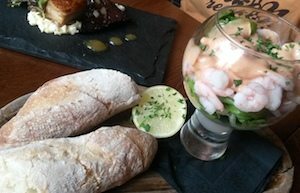 and chose the Retro Prawn Cocktail served in a HUGE wine glass (my nana would have loved it – straight out of the 70’s it was), the huge juicy freshwater prawns and Marie rose sauce served on the coolest crunchiest iceberg lettuce I may have ever had. The menu told us it was served with brown bread and butter, so I thought I’d better order another slice in case we needed more. It wasn’t strictly correct but we were happy nonetheless. What we actually got was a heap of fresh, warm, home-made mini ciabatta baguettes, which were amazing! Crunchy and warm and freshly baked and perfect to dip into the sauce and make little sandwiches out of, but suddenly far too much. to eat, should have swerved the starter my stomach was telling me. 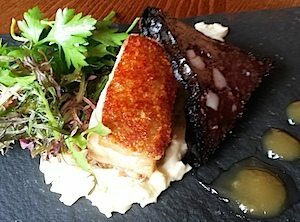 The other starter we shared was Pork Belly and Black Pudding with celeriac mayonnaise and burnt apple sauce. It was delicious. The belly moist and the crackling, well, crackly. The mayo was distinctive but delicate and worked perfectly with the balance of flavours, the pudding was incredible – peppery and soft. A very good starter. My partner and I decided, as we always do, on the two roasts we both wanted most (!! ), then ordered accordingly (we share everything. My daughter eats everything. We’re relatively easy to please as families go.) We opted for the roast pork belly (we love pork, if you hadn’t noticed), and the lamb. Both the roast dinners were amazing. we did very good sharing (as I tell my daughter) and I managed not to be too greedy. The South Downs Shoulder of Lamb was, served in a confit style, with rosemary and a possible touch of garlic. It was tender and well cooked. Both plates came served with roast potatoes, baby carrots, and roasted parsnips, red cabbage (my veg of the day) creamed leeks, tender and crunchy baby broccoli and a big home-made crunchy herby Yorkshire pudding. We washed this beautiful meal down with a very reasonable and perfectly subtle Chilean Pinot Noir. And due to the over ordering and eating of the fresh ciabatta and the enormity of the portions of roast dinner, we skipped dessert. I procrastinated for a good, well, 14 seconds over the Key Lime Pie, but I couldn’t find a place in my body (or my conscience) for it, so we had a coffee and walked it all off. What I really like about the Cricketers is the consistently good service, consistently good quality food and the great music. They play a good tune, they draw in a good crowd (without it feeling crowded) and the staff are always helpful and friendly. 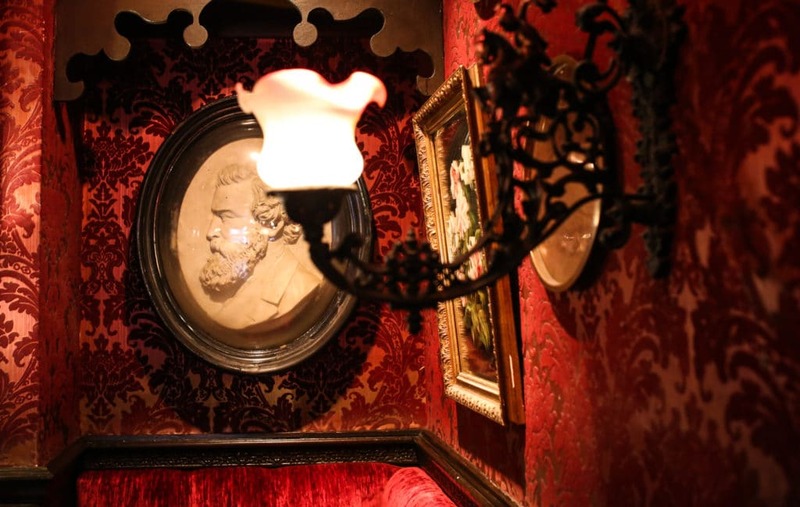 I’ve been to a few good parties in the Greene Room over the years, and have been coming in for drinks for as long as I can remember. It’s a decent pub, with traditional pub charm and at weekends it’s buzzing. If you’ve only ever been to drink, you’ve got to eat. The menu is extensive but simple. I’m going for the scampi next time I’m out shopping.